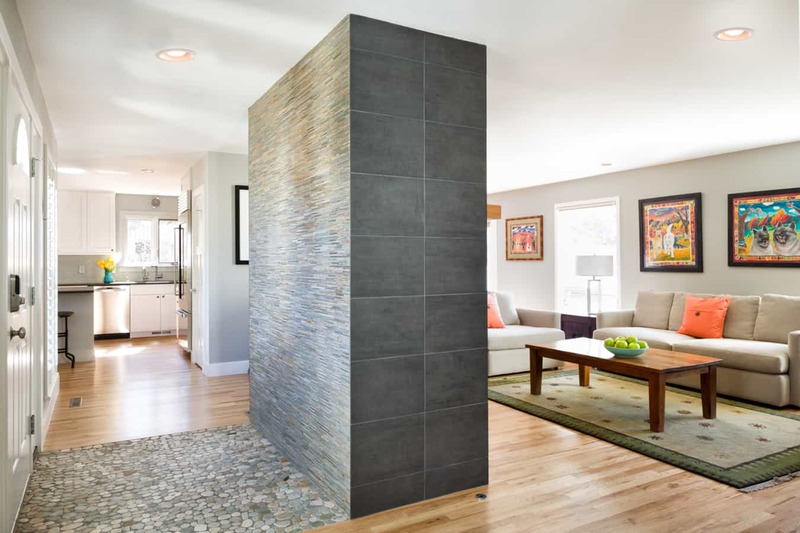 This whole home remodel was designed for a couple who wanted to brighten and update their space. 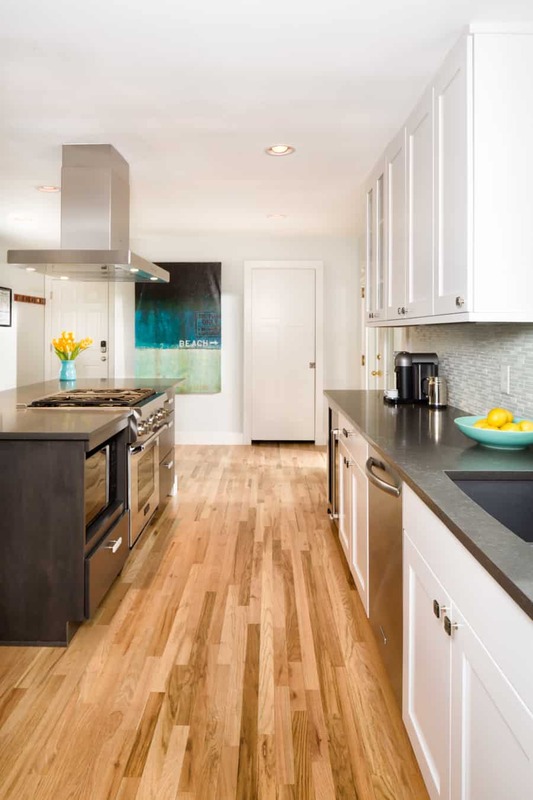 The spacious kitchen was completely gutted, the layout reimagined, and designed to bring a beach feel to their home in the foothills. 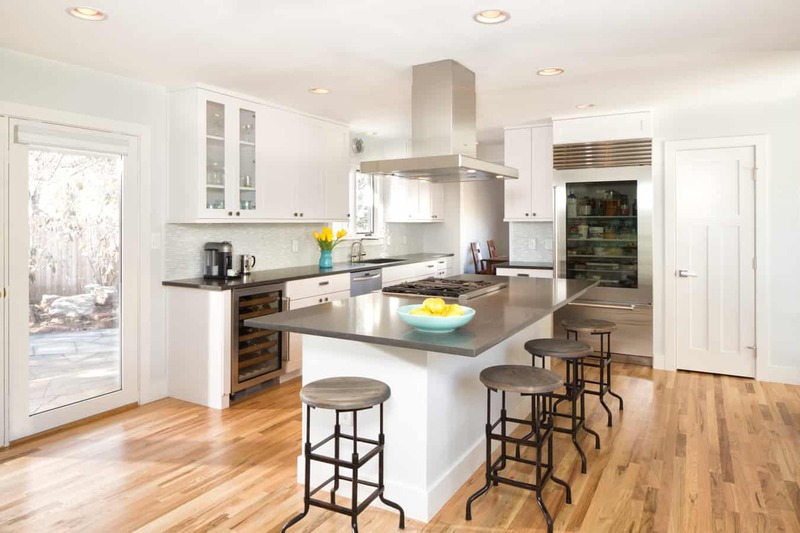 The large island is a great central place for gathering and celebrating. 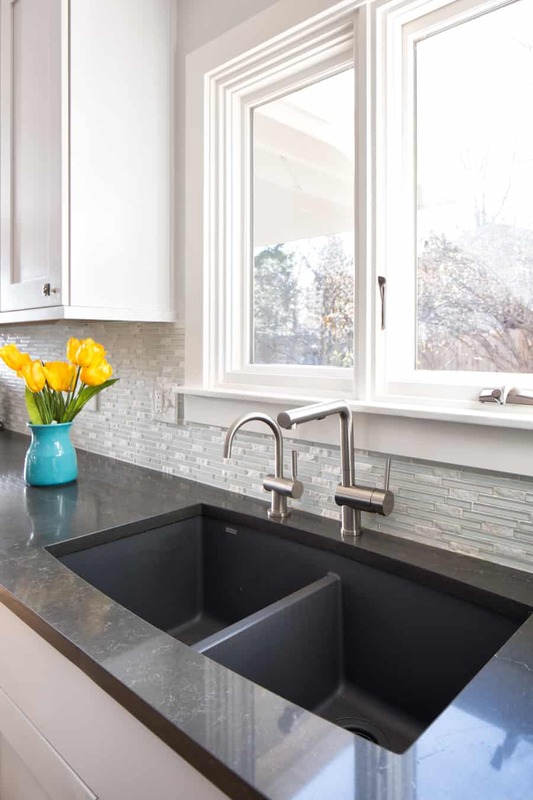 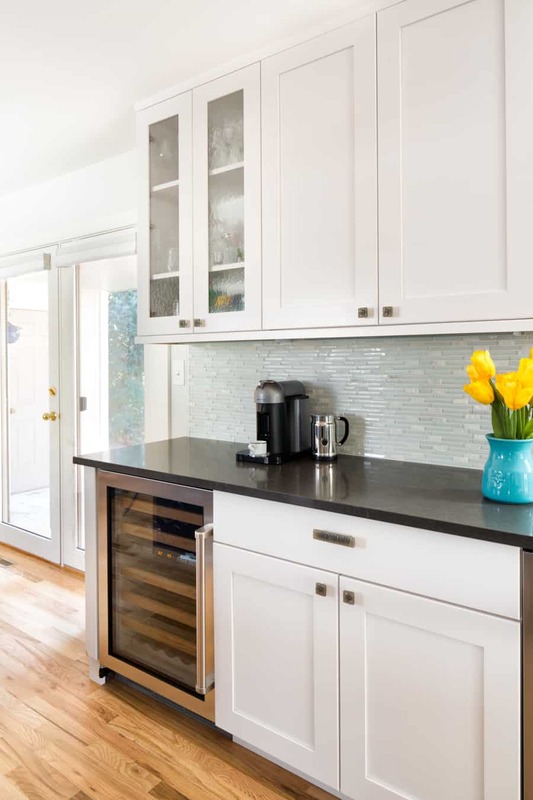 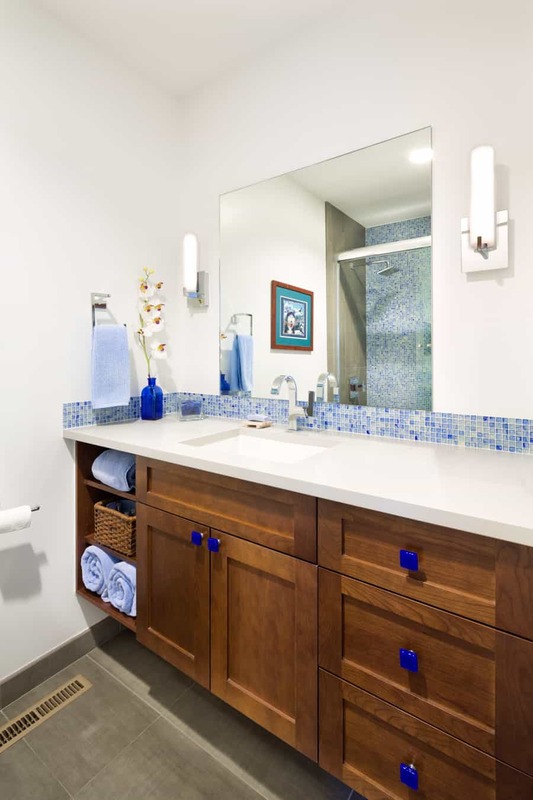 The white cabinets, glass cabinet hardware, dark countertops, and light blue/white glass tile and stone back splash, help the space feel light and bright. 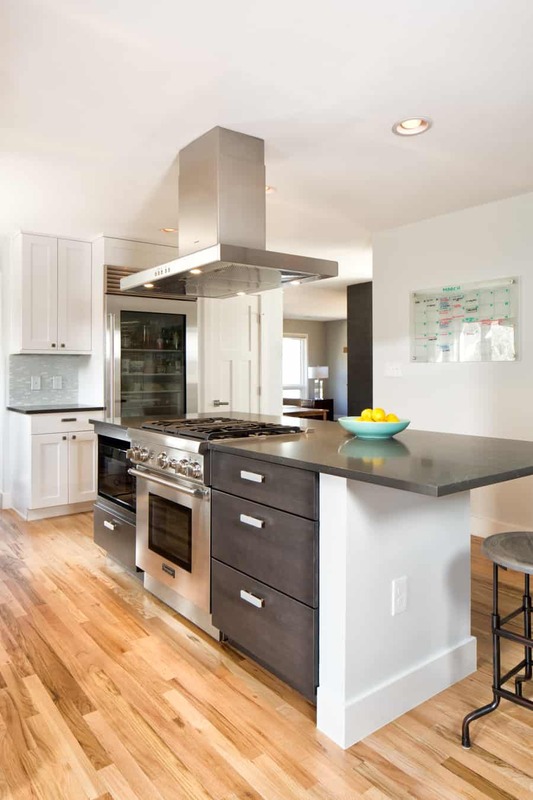 The light hardwood floors flow throughout the home and add an element of consistency. 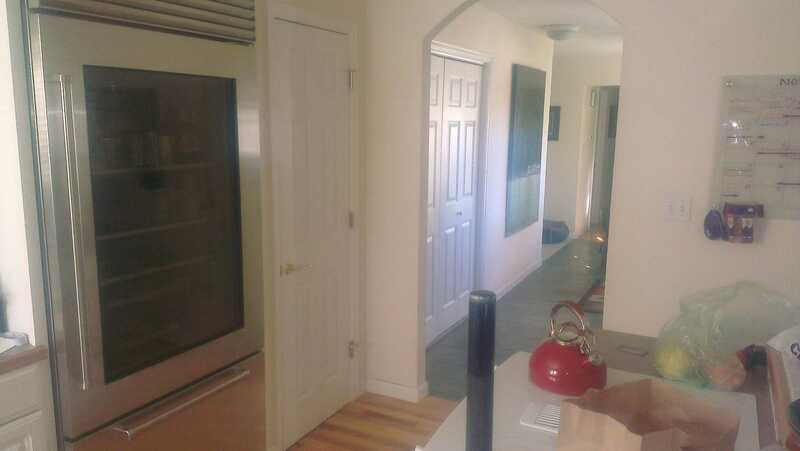 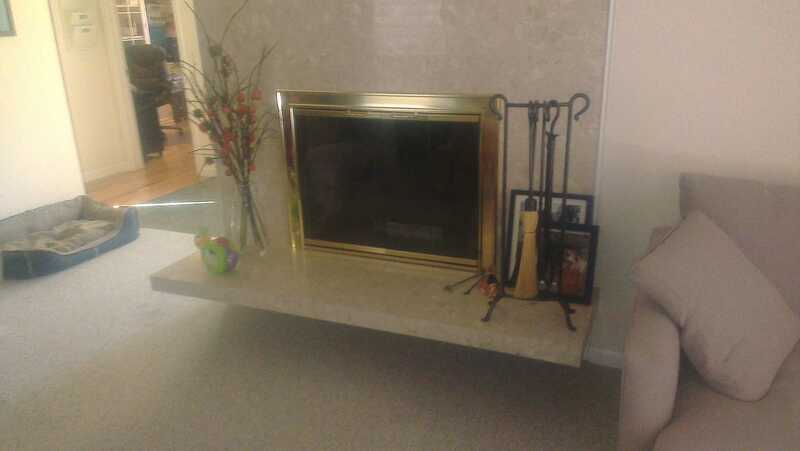 Originally the living room was sectioned off by a large wall with storage closets and the fireplace. 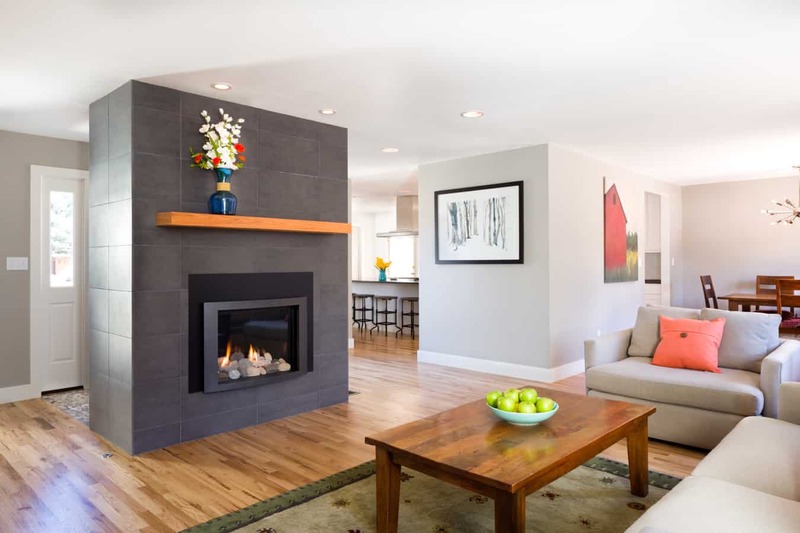 Melton was able to help redesign the fireplace and make it a stunning focal point, open some of the walls, and ultimately make the space more of an open concept style. 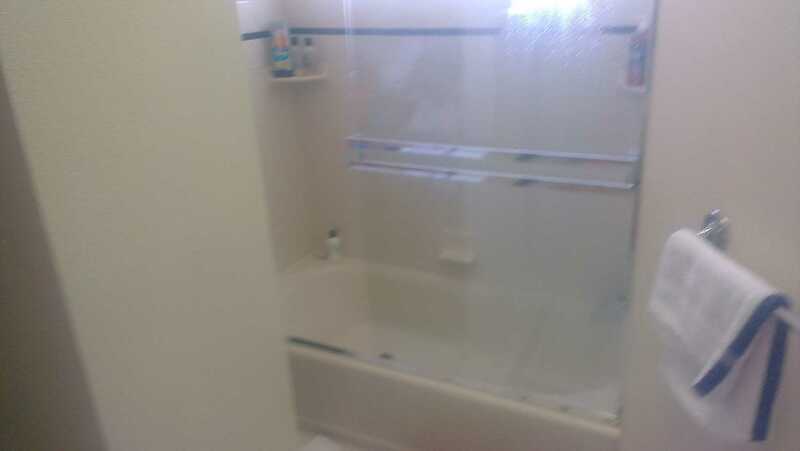 The master bedroom and bath update included a four foot addition to the suite. 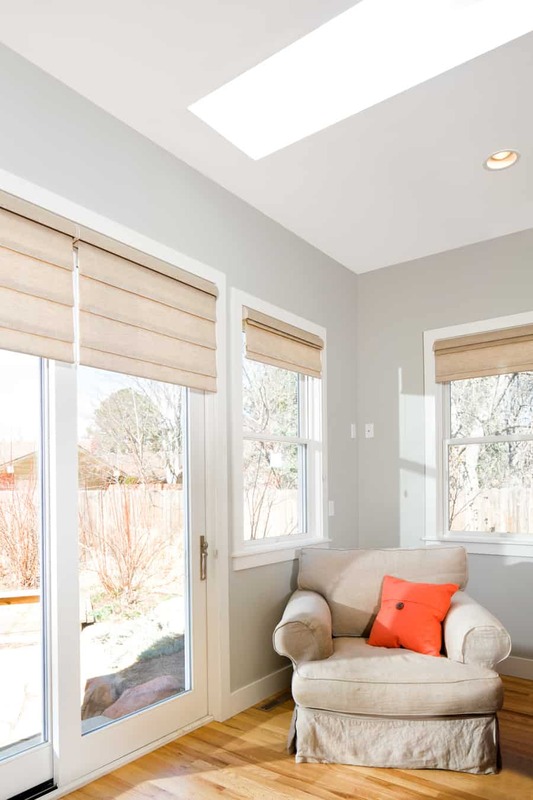 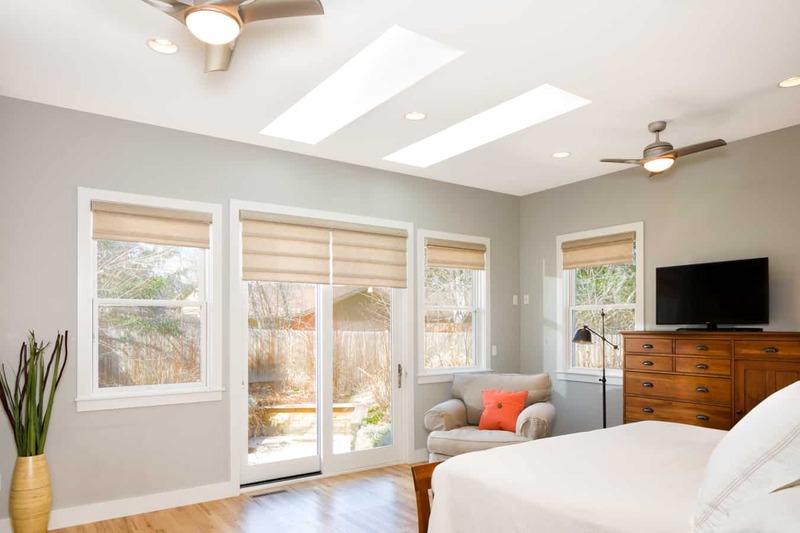 The added skylights bring a plethora of natural light to the room all year round. 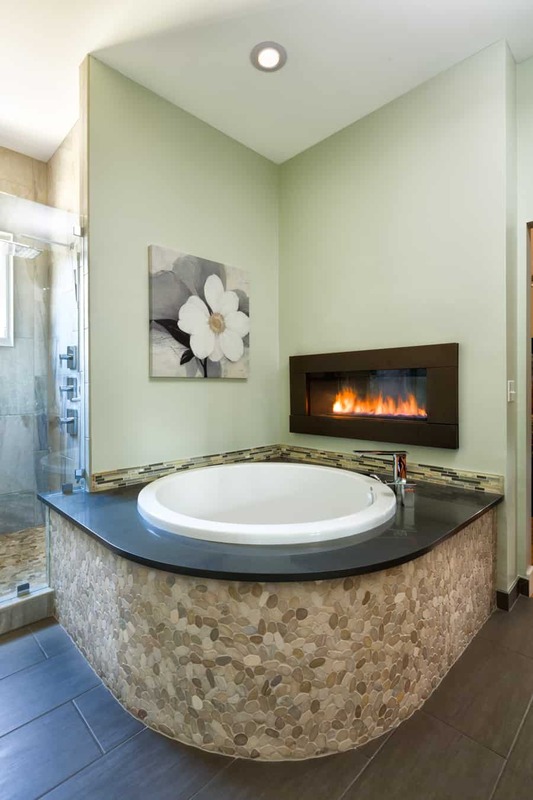 The double sided fireplace can be enjoyed from the bedroom or while soaking in the large bathtub in the ensuite. 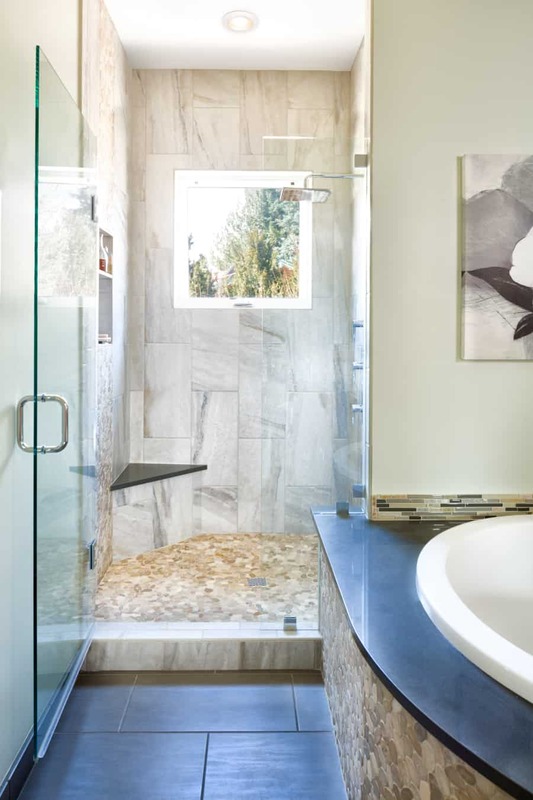 Natural spa elements in the bathroom, including smooth stone accents, help make the space feel like a luxurious retreat. 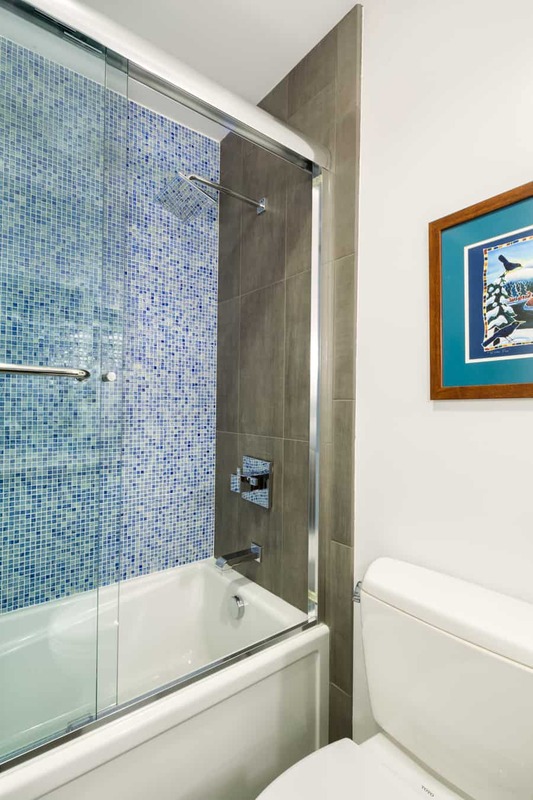 For visiting guests, the blue hues and tiling add fun elements to the hall bath.